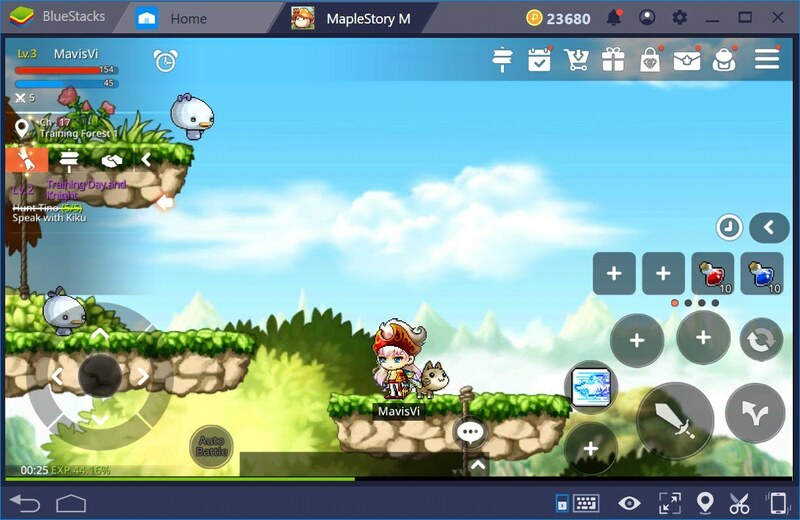 With the new Combo Key, MapleStory M players on BlueStacks have a cool new way to enjoy faster-than-ever gameplay. Simply record a desired action sequence, map a ‘hotkey’ to it and replay it with the press of a single key whenever you want. 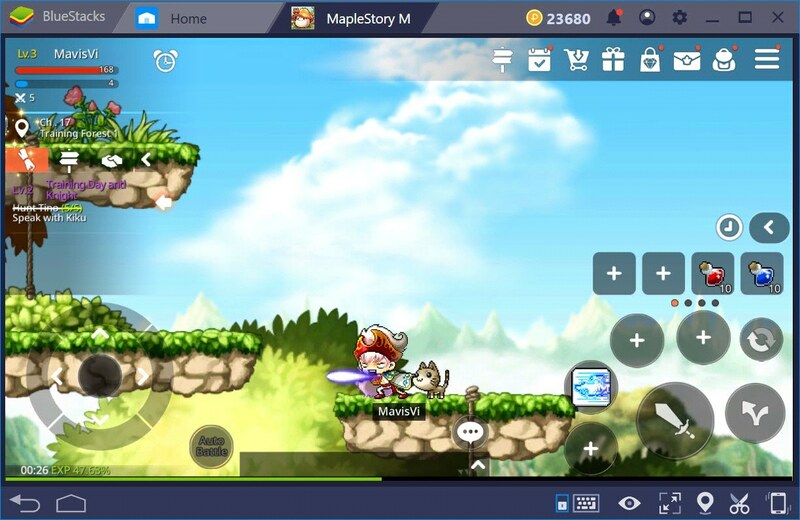 BlueStacks 4 has come out with an exciting new update to the Game Controls feature, an update that will revolutionize mobile gaming. 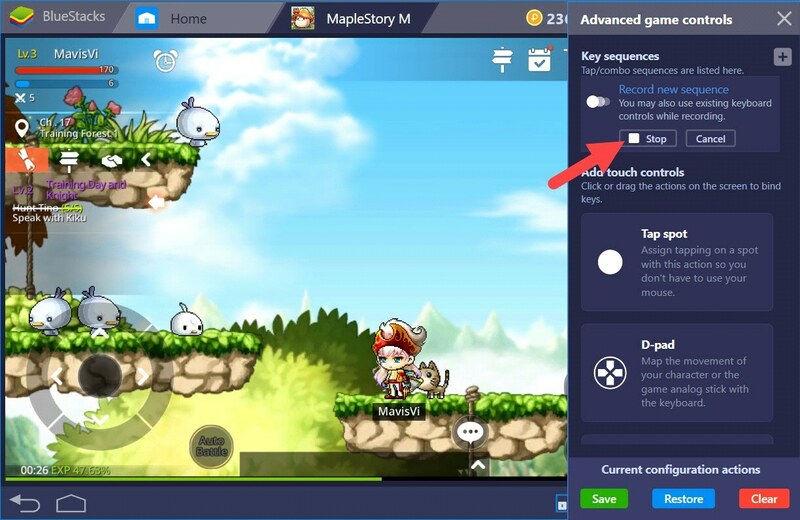 Previously, users could map different keys to controls in the game UI, making it easy for them to play their favorite mobile games from the comfort of their PCs. 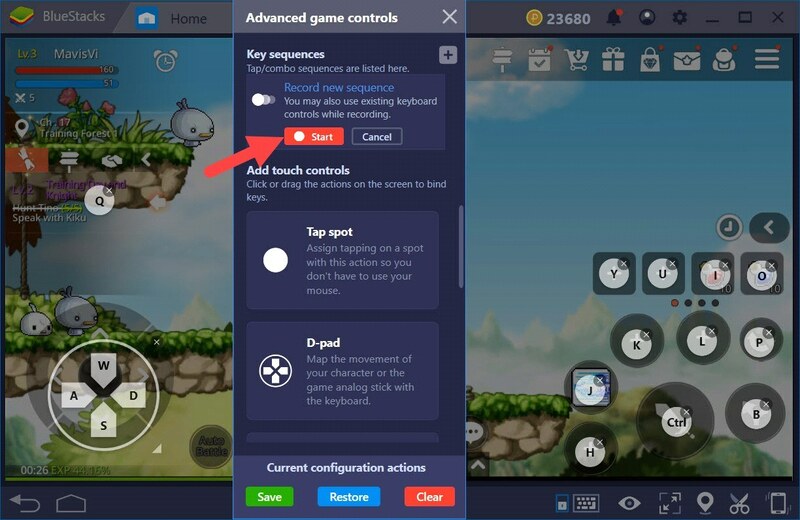 With Combo Key, BlueStacks takes game controls to a whole new level. How many times have you come across the same nagging sequence of actions involving multiple keystrokes that must be repeated multiple times in order to progress fast in a game? And how many times have you wished for a better way to do this? 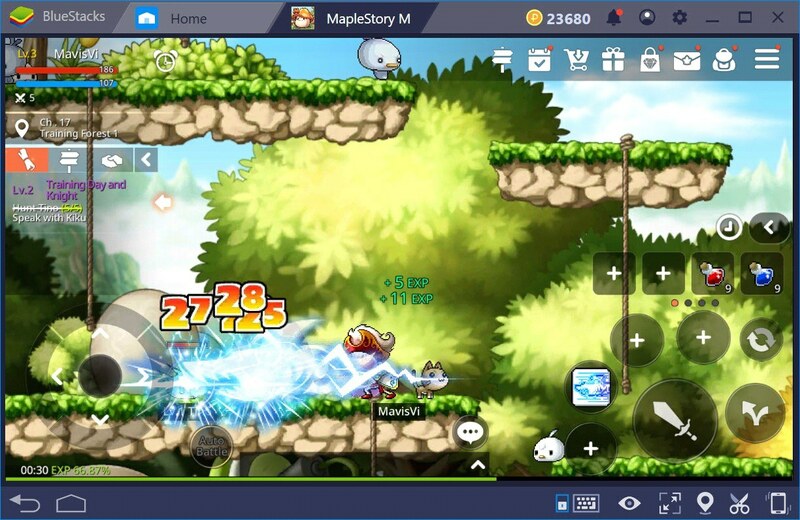 Combo Key on BlueStacks 4 is the answer! With the Combo Key, all you have to do is record the whole sequence of actions and map it with a hotkey. Thereafter, you can replay the recorded sequence at will by a single press of the hotkey. Imagine the kind of time and effort you are going to save by doing this. Whoever said being lazy was a bad thing? You’ve just got to be smart. 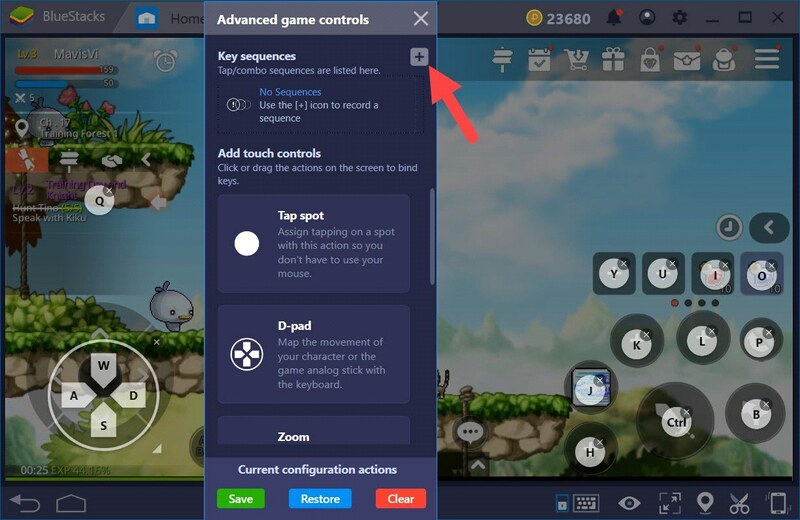 Combo Key can be found under the Game Controls section of the BlueStacks Interface. 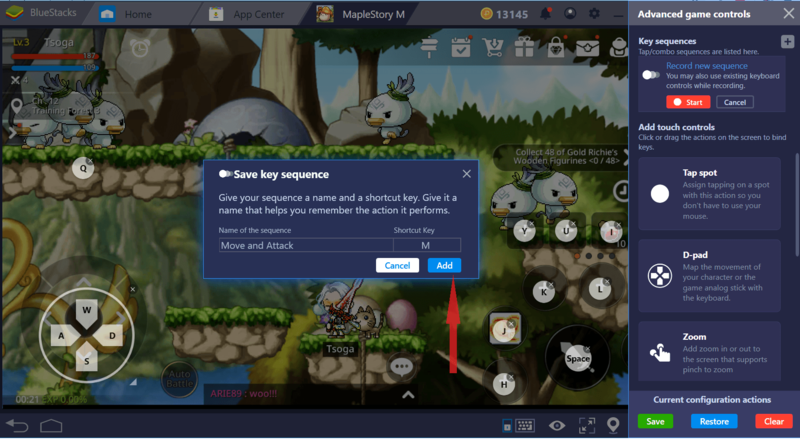 Go to Key Controls by clicking on the keyboard symbol at the bottom or by pressing Ctrl-Shift-H.
You will see a default keymap already configured by BlueStacks for your convenience. Click on Edit as shown below. In the following menu, navigate to Advanced Settings. 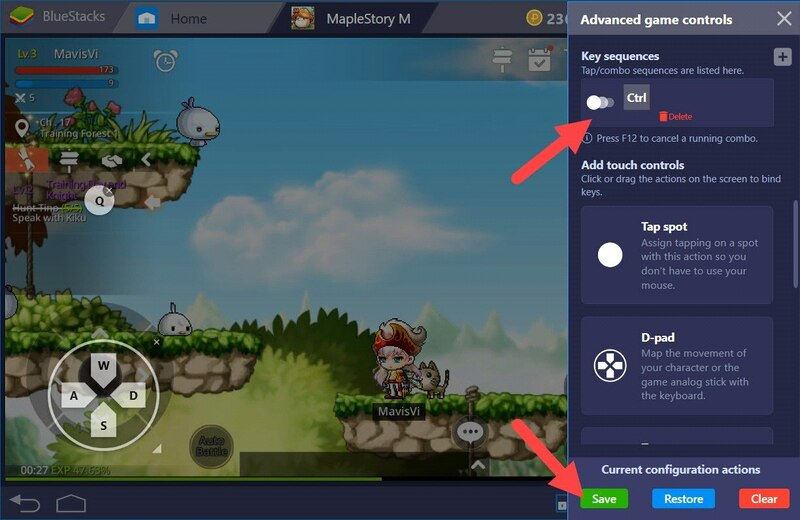 In the Advanced Game controls window, you will see a new section named Key sequences. This is where we can record our action sequences. To add a new sequence, Click on the “+” sign. As soon as you click the “Start” button, BlueStacks will record every single action you perform, from movement, attack, using skills to even the times where you do nothing, as a complete sequence, until you Click the “Stop” button. Protip: Remember to hit the “Stop” button quickly once you are done recording your intended action sequence because if you wait too long, that waiting time will also be added to the recorded sequence. The next step is to pick a name and Map a ‘Hotkey’ to the recorded Combo. Please note that you will have one chance to create this mapping. If you wish to change to another key, you will have to erase the sequence and start recording from the beginning. Now Click on Save to complete the setup and get back to the game to start using your new Combo. Thereafter, you can simply press the Hotkey to make the character do the above combo. To cancel a combo, simply Press F12. 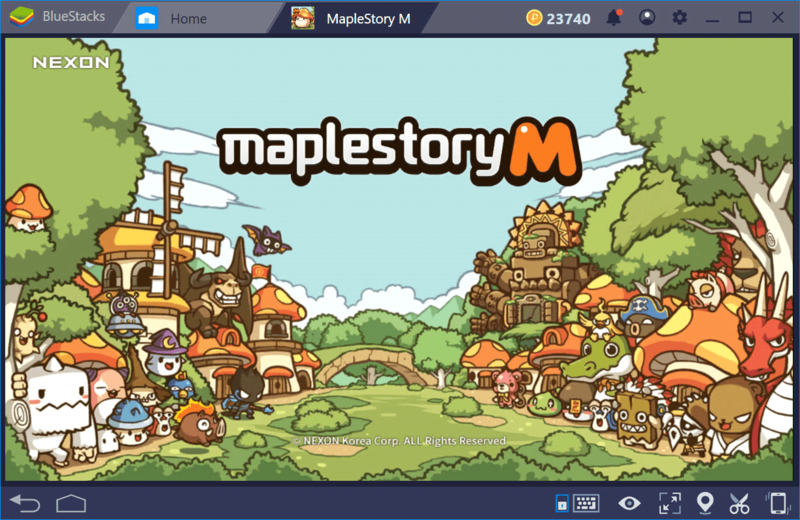 Imagine the following scenario in Maple Story M, wherein various monsters are spawning on either side of your character, and you need to kill them all in order to level up. While this is fun at the beginning, it does tend to become monotonous after a while. Let’s say you have recorded the above action sequence using Combo Key and mapped ‘K’ as the Hotkey. Now, everytime you press the Hotkey ‘K’, your character automatically repeats all the steps mentioned in the recorded in your sequence, with the press of a single key! Imagine you’re in a party and your mates are farming monsters left, right and center. You gain even if you don’t actively contribute, but freeriding could get you kicked. It’s so much easier to take the honorable route and contribute as much as you can. The action would involve moving around and hitting monsters around you. Let’s say you have recorded the above action sequence using Combo Key and mapped ‘S’ as the Hotkey. Now, everytime you press the Hotkey ‘S’, your character automatically repeats all the steps mentioned in the recorded in your sequence, with the press of a single key! Imagine there’s a big group of enemies surrounding you and need to spam them with area attacks if you are to have any chance of survival. Using the arrow Platter seems like a good idea. Let’s say you have recorded the above action sequence using Combo Key and mapped ‘Alt’ as the Hotkey. Now, everytime you press the Hotkey ‘Alt’, your character automatically repeats all the steps mentioned in the recorded in your sequence, with the press of a single key! There might be situations in the game where you need to use more than one skill in different combinations at the same time. Having a hotkey mapped to the combo may come in handy in such situations. Let’s say you have recorded the above action sequence using Combo Key and mapped ‘Ctrl’ as the Hotkey. Now, everytime you press the Hotkey ‘Ctrl’, your character automatically repeats all the steps mentioned in the recorded in your sequence, with the press of a single key! With Combo Key, you can simply map a single hotkey to each of these menu options and use them to quickly summon pets or pull up character info as desired. With Combo Key, you can map a hotkey to any quick message (such as “It’s okay” or “Well Played”) that you may want to send to other members of the party during play, saving you the hassle of typing every time during an intense game. 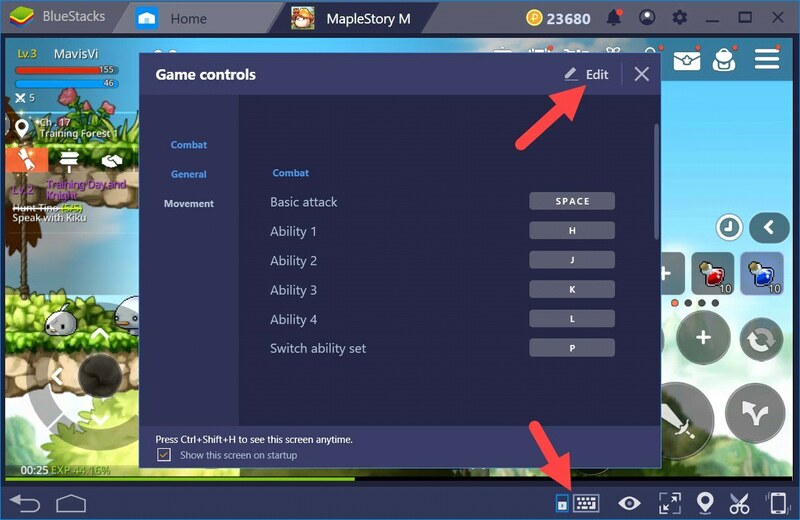 You saw above how the BlueStacks Combo Key can simplify complex moves and make them much faster. This was just a simple scenario to illustrate the use of Combo Key. This will open the gates for new kinds of game strategies altogether. The possibilities with this tool are truly endless, limited only by the players’ imagination! Give it a try for yourself and let us know what you think of this feature. If you have thought of exciting ways to use this new feature, we would love to know. Until then, keep playing on BlueStacks.